Some times you just gotta put yourself out there. This was one of those nights. Like I said before, I have joined a few meetup groups. 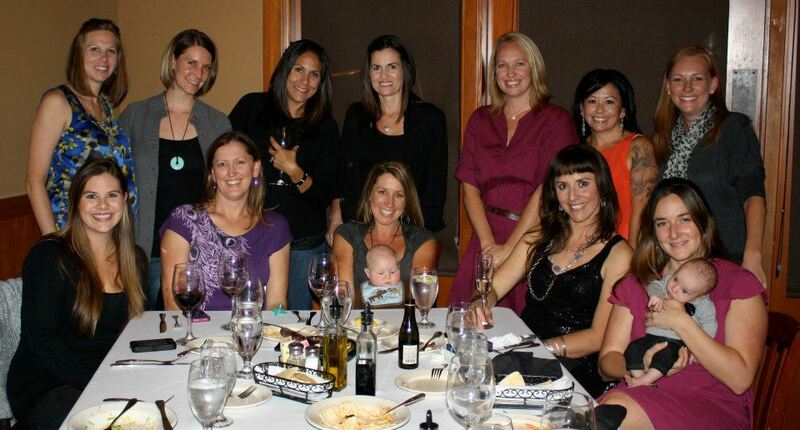 On Thursday night there was a Mama's Night Out. I hit the RSVP button and didn't look back. I was however, reluctant. I only knew two laides that would be there and it was an already well established group. Were the ladies going to be friendly? Clicky? Would I be sipping on my wine in the corner playing words with friends on my phone? Screw it! I am going and I am gonna have fun, DAMN IT. I arrived early and quickly chatted up the few ladies that were also early. They were very nice and friendly. The night ended up being really fun and it was really nice getting out of the house for a few hours. I love it when putting yourself out there works out and isn't an utter disaster! I'm so glad you had a nice time. You deserve it! Fun! I love when that works out..good for you for putting yourself out there. I, too, am usually the shortest person in the group! You can do it, Gina. I mean the one month old. You wouldn't regret it. (I didn't, at least).